Time flies when you’re having fun … and when you’re with the one you love! As the years go by, you often find that your anniversaries have a habit of sneaking up on you, resulting in you and your loved one going out to dinner…again. Whether it’s your 1st or your 15th wedding anniversary, it’s important to celebrate it in style. That means doing something a little different but not necessarily spending a fortune. 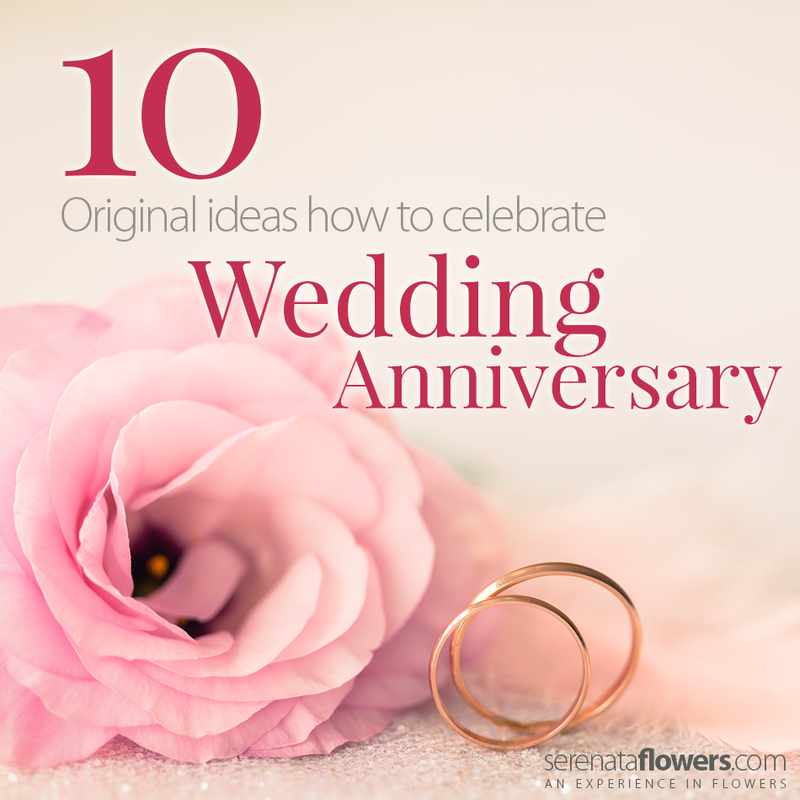 Here are 10 original ways you can celebrate your wedding anniversary on a budget. No thanks necessary. You may not be able to recreate your entire wedding day to celebrate your anniversary but you can surely recreate the menu you had at your reception or wedding breakfast. Work together and choose your recipes before going shopping for the ingredients and cooking up a romantic storm. Set the dining room table and get some stunning flowers to add as a centre piece to really finish things off. Where was your first date with your spouse? A fast food restaurant? Or was it a little more upper class at an Italian? Whatever or wherever it was, relive it. Go on your first date for a second time and have a lovely evening made up chatting about the memories you both made together. Trust us; this one’s a winner! Okay this may sound a little vain but everyone is doing it these days! Whether you have your own photo shoot at home or book a professional one, it doesn’t matter. Just remember to smile your biggest smile…and no pouting! You can also use these photographs to send to friends and family and even create your very own wedding anniversary photo album. Make a mixed CD of songs that are sacred to you and your partner and present it to them on your wedding anniversary. This gift is extremely thoughtful, not to mention affordable. It’s also something your spouse can keep for years to come too and they can even listen to it on their way to work or when away from home to remind them of the love of their lives. Aww. Fancy making a real effort this year? Why not be a little extravagant for once and book a surprise weekend break? Whether it’s to London or abroad, this gift is guaranteed to bring a smile to your partners face, and give you that quality time away together you really deserve. Come on we all have an embarrassing wedding video of our mums and dads getting tremendously drunk and making a fool of themselves. But come on, it was the best day of your life! Remove the dust and put your wedding video on, you could even open a bottle of red and get comfy on the sofa. This is a great way of reminiscing over that wonderful day where you both exchanged your vows and declared your love for one another, so, come on, let’s get watching! If this is a special wedding anniversary then there’s no reason you can’t enjoy a second honeymoon together. You could go to the same hotel and resort you did the first time or pick somewhere entirely new – just make sure there’s champagne on ice and a few special treats waiting for you and your partner in the hotel room! Sounds a little mad? Trust us; it’s what all the celebrities are doing these days! You could choose to renew your vows in the same location you did before or have an even bigger day with your children involved. Alternatively, you could do something private with just the two of you there, demonstrating how much you love one another…all over again. That’s pretty special if you ask us! Who doesn’t just love the bit of sea breeze – well, river breeze– in their hair? Book a romantic boat trip (on the Thames perhaps) and enjoy your partner’s company as you drift along in peace and relaxation. There really are few things more romantic. There is something to say for just spending time together. With our hectic lives full of work and children it can be hard to spend time together as a couple rather than as parents or breadwinners. With this in mind, why not decide to spend the day together on your anniversary – just the two of you. Hire a babysitter and enjoy some quality time without all the usual life distractions. Whatever you do for your wedding anniversary, be sure to enjoy yourself and make sure you tell your beloved how much you love and appreciate them. Well, this day only comes round once a year! Your Wedding – How Does Everyone Else See it? Thank you for your great inspiration in this post, I got many of new ideas from your post here.